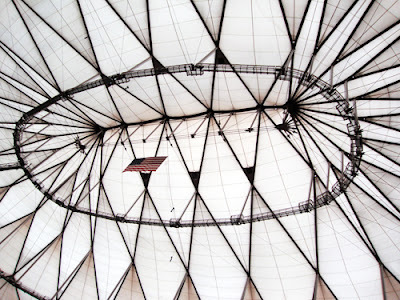 Just the other day I was talking with a friend about how cool the tour of Georgia Dome is and that it's one of the least expensive tours in town. Now I want to go back for another tour. The one really cool thing that I learned on my first tour of Georgia Dome is that the dome itself (the white part of the roof) is made from fabric. Who knew?! You know, you think that once you've toured a place that you've seen it. Not necessarily so, my friends. There are several attractions and museums in Atlanta that I've toured more than once and I learn, see, and hear something new every time. Whether it's a change in what's on display or the presentation technique of the tour guide, the second time around (or third or fourth) is going to be different...and maybe even better because you already have reference points.